…and the reading is easy! What do you read in the summer? Is summer the time for light literature? Is it your chance to catch up on unread classics and recent bestsellers? Or with more time off and longer days, is now the time you delve into chunky epics or challenging nonfiction? 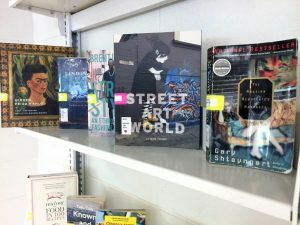 No matter what Summer Reading might mean to you, you will find something to suit your taste on the current book display at the Humanities and Social Sciences Library. 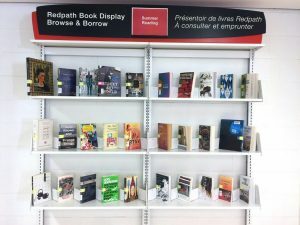 Up until the end of August, this display brings together literary and genre fiction as well as food writing, art books, folk tales, local lore, essay collections, travel memoirs… et oui, il y a des titres en français parmi la sélection. This summer’s very eclectic collection has something for everyone, and will give you a glimpse of how diverse the library’s holdings are. Come by, browse, borrow, and repeat! To check out what titles we’ve put together for you, take a look at this list. 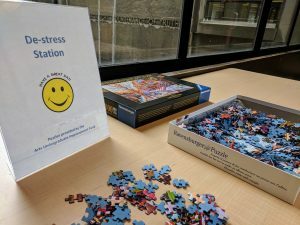 The next time you find yourself in need of a breather at HSSL, take a minute to pause at the new De-stress Station, a.k.a. the Puzzle Table. 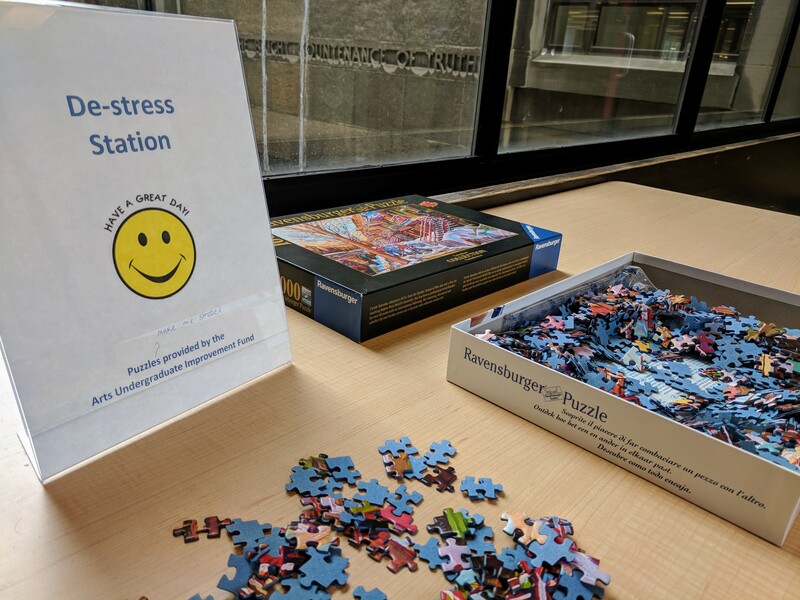 Located in the passageway between the the McLennan and Redpath sections of HSSL, this new wellness initiative is brought to all HSSL users thanks to the Arts Undergraduate Society of McGill (AUS). 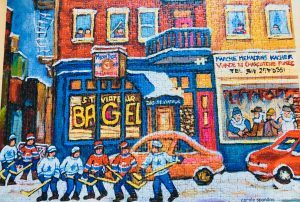 The concept is simple: We set out a large jigsaw puzzle and it is collectively completed by passers by, who spend as little or as much time on it as they choose. Working on a puzzle is said to draw upon both the right and left hemispheres of the brain, making it is a great way to give your grey matter the equivalent of a good, all-encompassing stretch. Also, because it is considered an active pastime, it requires a level of focus that can allow you to really unplug from studying or working. 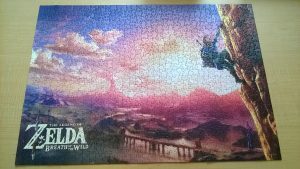 So if you’ve got a case of writer’s block, or your study group is stuck on a problem, a quick trip to the Puzzle Table just might help. 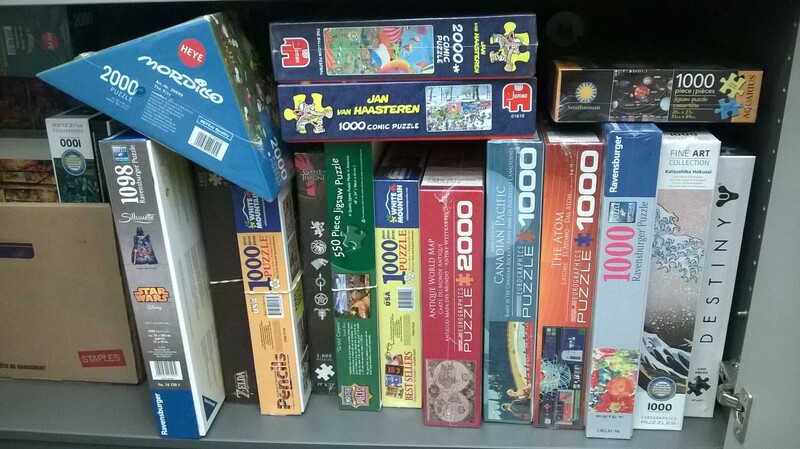 The funds from the AUS have allowed for the purchase of a number of puzzles. 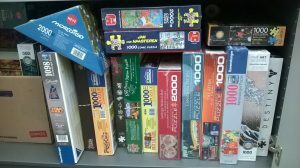 Since 500-piece puzzles were being finished in a matter of hours, most of our collection is made up of 1000-piece puzzles at a minimum. There’s a Tetris-style wooden block puzzle as well, for something a little different. 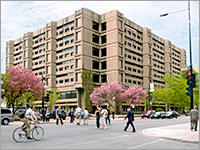 We have a variety of styles and challenge levels, and we endeavor to keep things fun, and relevant when we can. 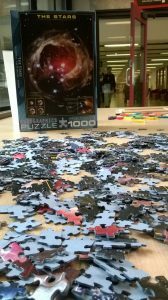 The Puzzle Table hosted a winter scene during the snowstorm, and characters from movies and video games during reading week. 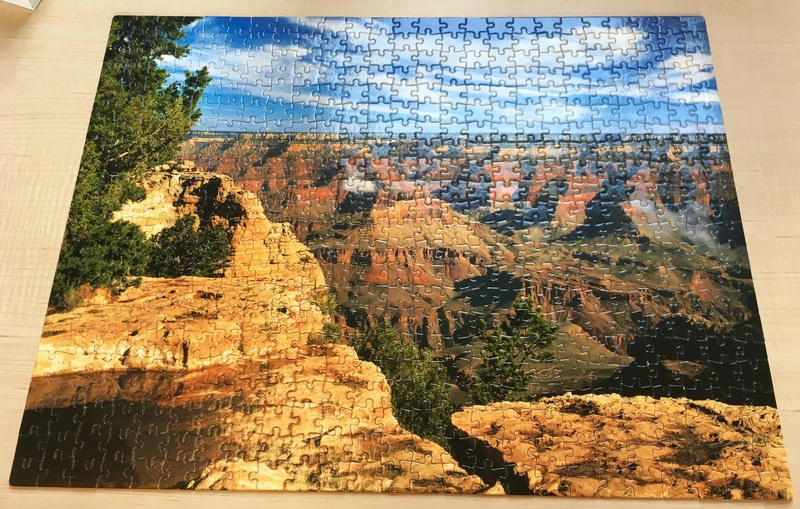 Judging by the frequency at which we are removing completed puzzles and putting out new ones, the De-Stress Station is a much appreciated new feature of HSSL. 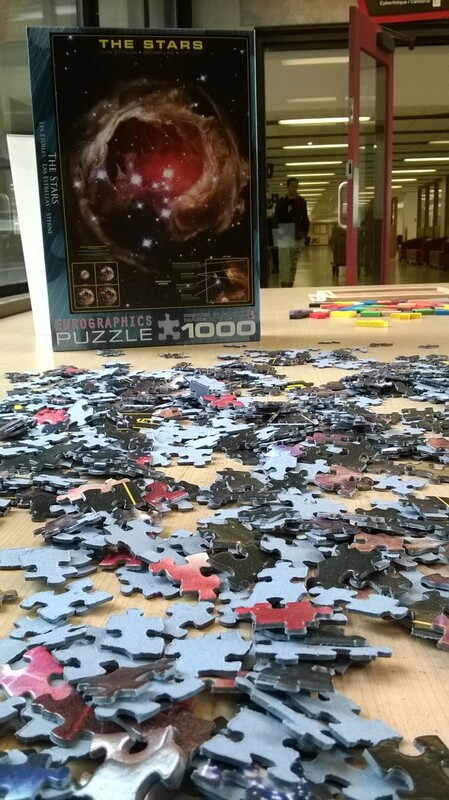 Next time you’re passing by, instead of rushing past, give yourself and your brain a different kind of workout. Spend a few minutes with the puzzle of the moment, and see if you can pick up on a theme. 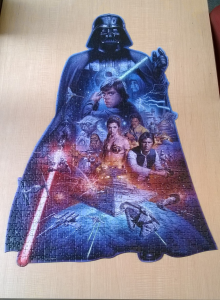 Here’s our puzzle of the moment, put up on Thursday, March 15th, a small nod to Stephen Hawking’s passing the day before. It’s a tough one -come lend a hand!